Browse our HTML5 responsive Law Firm templates below. 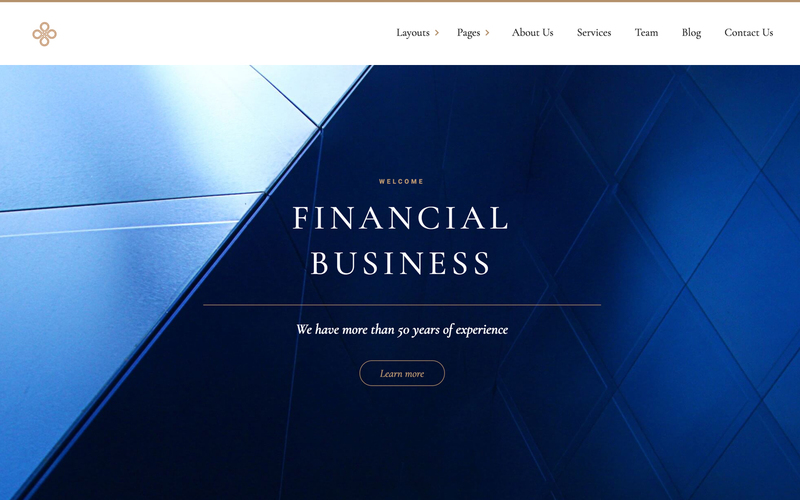 You can easily customize any of our Law Firm website templates with Webflow's code-free design tools, then connect your new Law Firm website to our powerful CMS, and launch it today. Elevate your professional services business with Partner CMS template for Webflow. Featuring multiple page layouts and thorough CMS integration, creating a stylish online presence has never been easier. 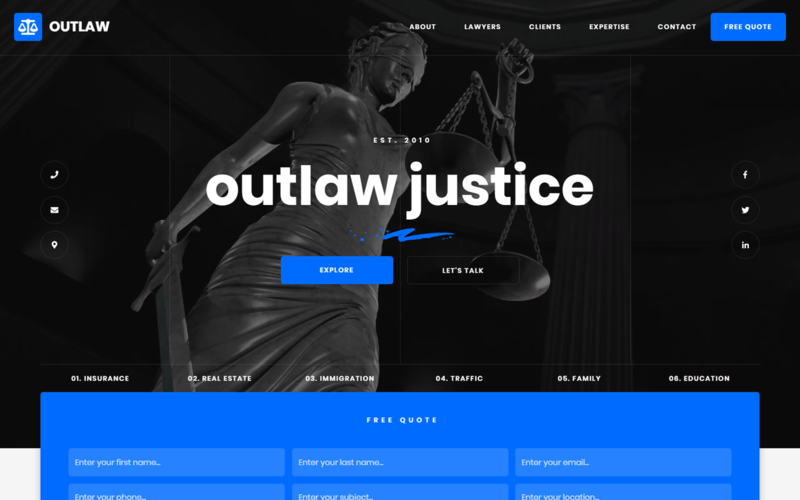 Meet Outlaw - The perfect Webflow HTML template to get your newest law firm website up and running in no time. Proteus is a Webflow CMS Business template. Featuring an elegant, wide and clean design you will be available to showcase your services as well as your portfolio. 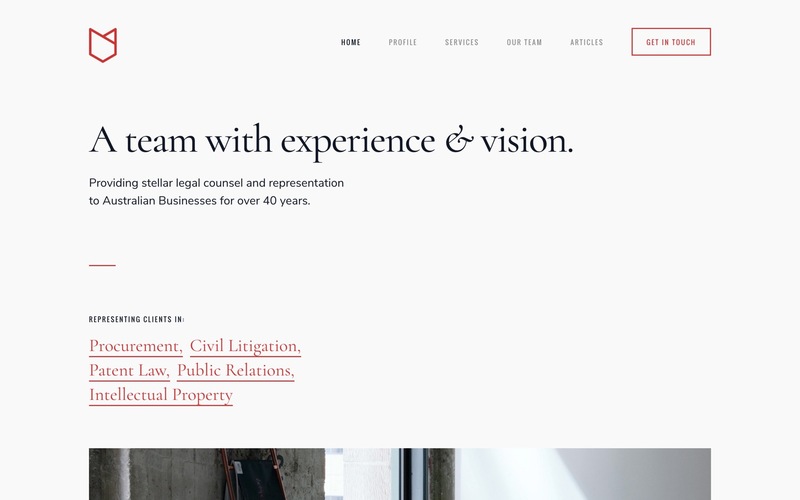 Maven is a stylish, responsive Webflow CMS template crafted for Law Firms and consultancy businesses. 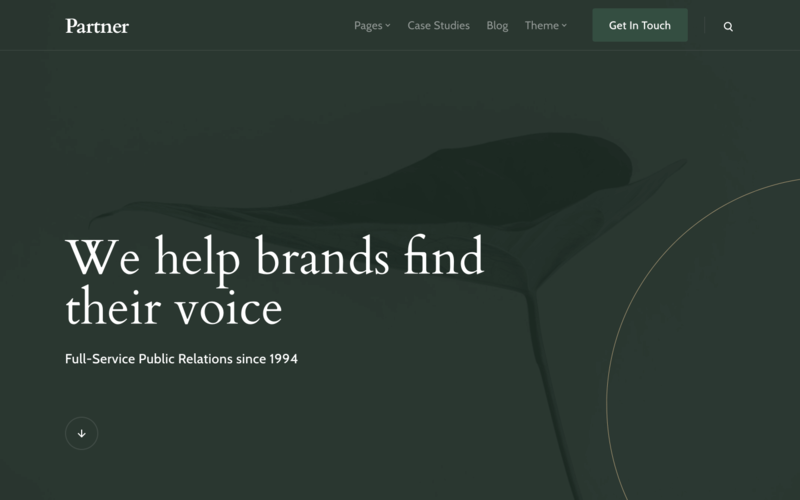 Offering a breadth of options for showcasing services, team members, articles and more - Maven is ideal for those seeking a highly-polished online presence. Justice is a Powerful, Easy and Fully Customizable Template that you can begin to use right away! With several pages and sections like, About Us, Practice Areas, Team Members, Blog, Contact Form, and more you are totally covered! The HTML5 template is build for Legal Advisers, Legal offices, Lawyers, Attorneys, Barristers at Law, Counsels, Solicitors, Advocates and other legal and law related services and it is suitable for any kind of legal and financial activity. 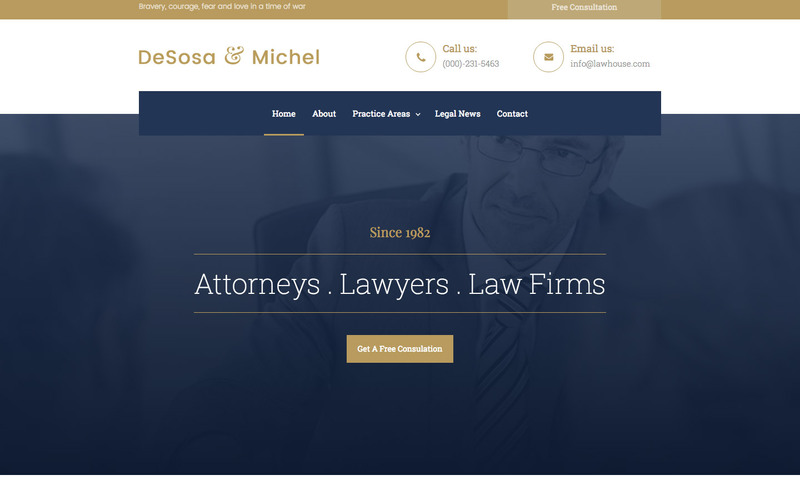 Modern responsive website template for Law/Attorney Firms. Easily change colors and images to fit the template in your business. Use Webflow's CMS features to create blog posts, resources, describe your practice areas and more! 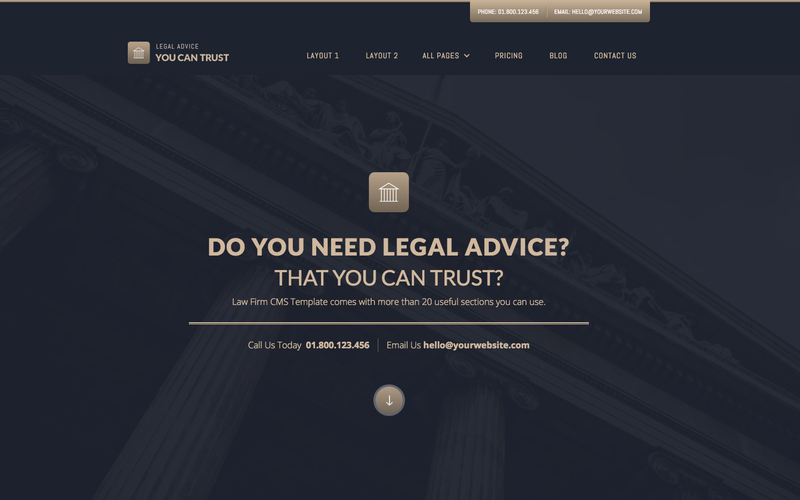 Why choose Webflow for your Law Firm website template? Founded in 2013, Webflow is a responsive website builder, CMS, and hosting platform. Trusted by over 1,000,000 professional designers at top companies like Pinterest, IDEO, Razorfish, Autodesk, and Salesforce, Webflow makes it easy to build and launch the responsive, cleanly-coded, and fast-loading website you've always wanted. 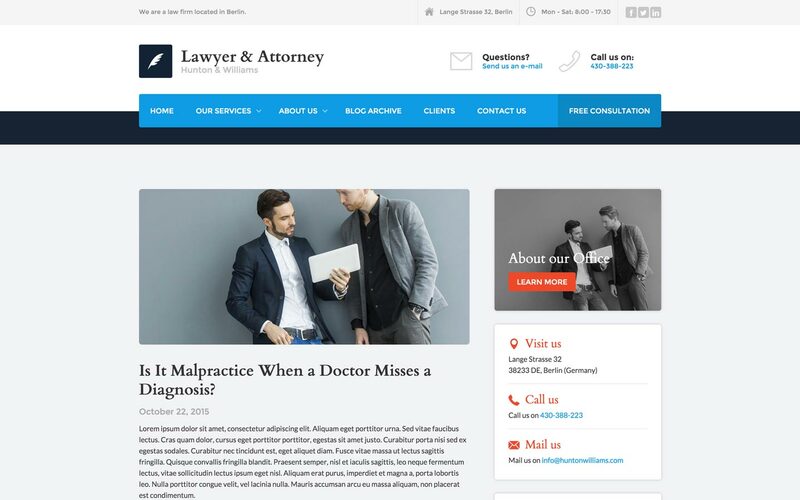 Get our HTML5 responsive Law Firm website templates and easily customize your Law Firm template with our web design tools, site builder, and CMS today.